With roots in Judaism, Christianity and Islam, Jubilee is a time when sins are remitted, debts are forgiven, and the enslaved or imprisoned are set free. Strike Debt, an organization that arose out of the Occupy movement, developed The Rolling Jubilee in 2012 to resist the growing debt system in the US. In an act of mutual support, people donate to the organization in order to abolish other people’s debt. 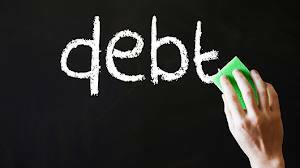 Taking advantage of the deregulation of the finance industry and the ability to legally purchase charged-off debt, Strike Debt is able to buy individuals debt at random, for pennies on the dollar, and abolish it. Individual debt is abolished while bringing awareness to the issue of predatory debt systems in the US. A Debt Resistors’ Operations Manual offers advice on resisting debt and joining the movement. 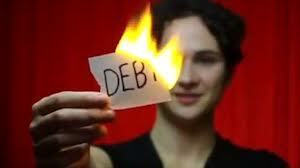 As of February 16, 2013, Strike Debt has raised a total of $557,451 to abolish an outstanding $11,153,855 of debt.